SPECIAL DEAL - Usually 9.95, today just 7.95 - Save £2! 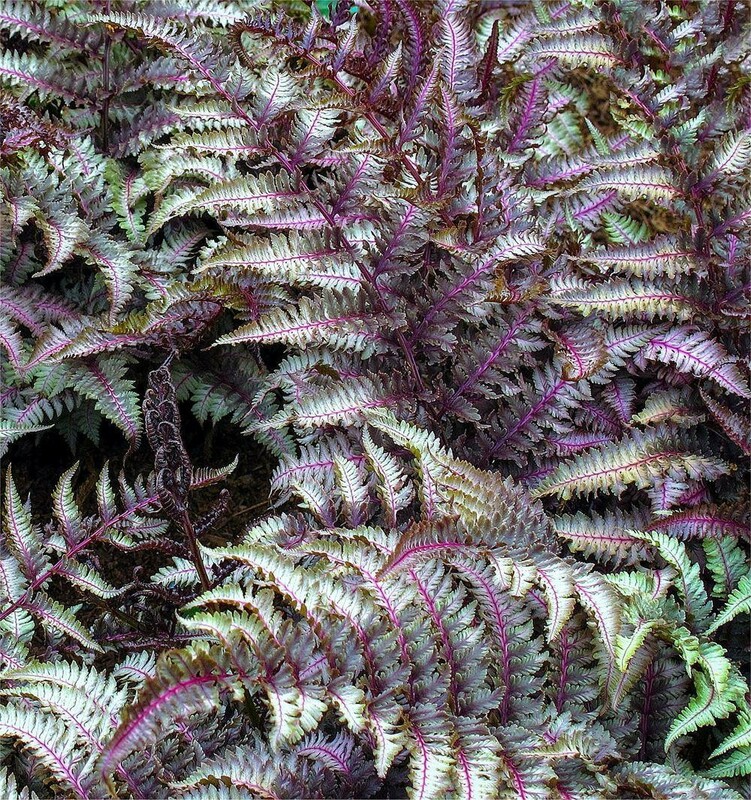 One of the most colourful ferns for the garden, Athyrium niponicum pictum metallicum, or as it is better known the 'Japanese Painted Fern' has silvery-grey fronds which are dusty purple towards the center. They are set off by beautiful purplish-red veins and stems. 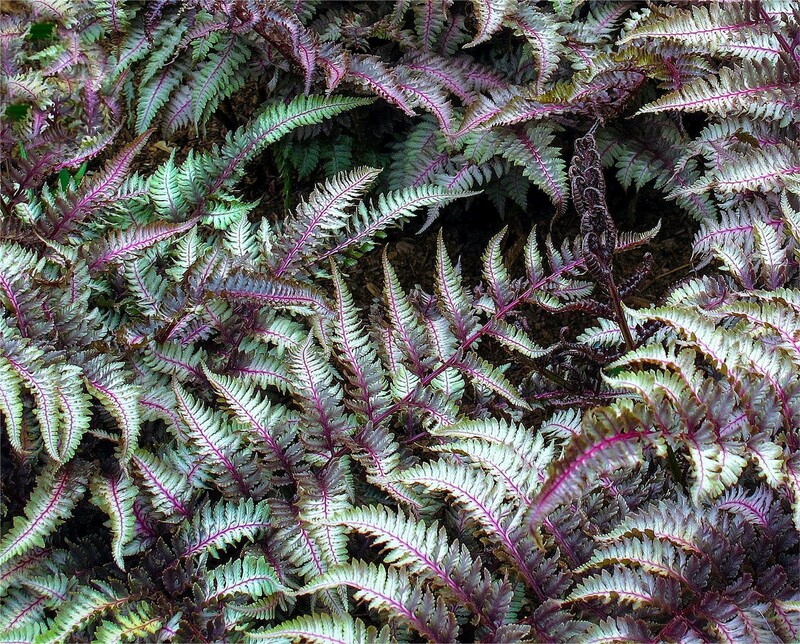 This has to be one of the most unusual, elegant looking and desirable ferns available. Athyrium has a low and mounding habit in the garden, slowly spreading by rhizomes to form dense colonies, this makes it great for providing ground cover in are partial shady spot over time on its own or mixed with other contrasting varieties. The fronds of this spectacular fern are positioned in a way that creates a horizontal layering effect much like you might see in Dogwood trees. 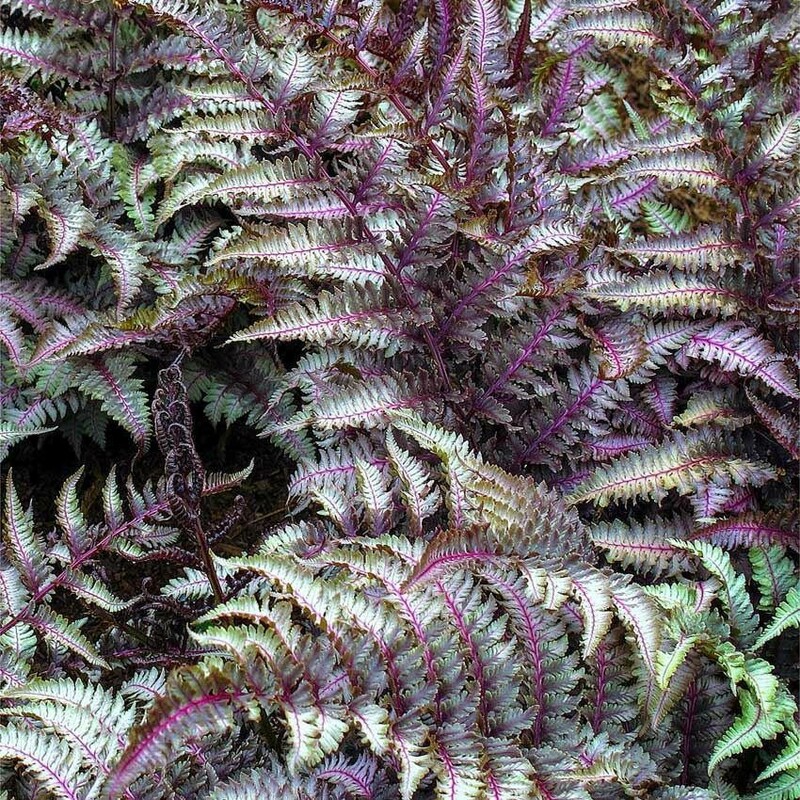 Athyrium 'Pictum' will grow well in a moist soil with light to partial shade, for the best colouration some sunlight is necessary to produce the most vibrant shades. Try combined with plants that have different foliage shapes, colours and textures for dramatic and stunning effects. Supplied in approx 1.5-2 litre containers.